Do you have plans this Sunday? If they do not include a trip to Luther’s Wildhorse Park for a big party to help a beautiful girl, then maybe you can work it in. We have a neighbor who needs help. And another neighbor who has planned a big event and a big project to help. Taelor Heron is almost 12 years old and a sixth grader. She was diagnosed as a Manifesting Carrier of Duchenne Muscular Dystrophy in September 2014. Her mobility is very limited and she is in a manual wheelchair. But as her MD progresses, her arm strength to wheel herself from class to class at school is worsening. And her family is trying mightily to get her a mobilized chair to help her quality of life. But as most of us can related to, there have been insurance battles and many medical related expenses for the family. Getting that mobilized chair has become a top priority and that’s where a community is stepping in. 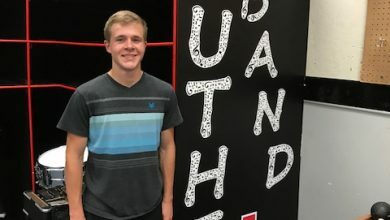 Joshua Smith, Luther’s own master of entertainment with Opus Entertainment, has stepped in in a big way with two projects. One is a building a ramp for Taelor to be able to get in and our of her home. Krone Construction and TB Construction & Dirt Work already have provided materials and labor to help get that done. The other is an epic party this Sunday. DJ Shorty B (Josh) will be playing the tunes while we have a foam party, play on inflatables and carnival games, and try to win cool stuff through a raffle. 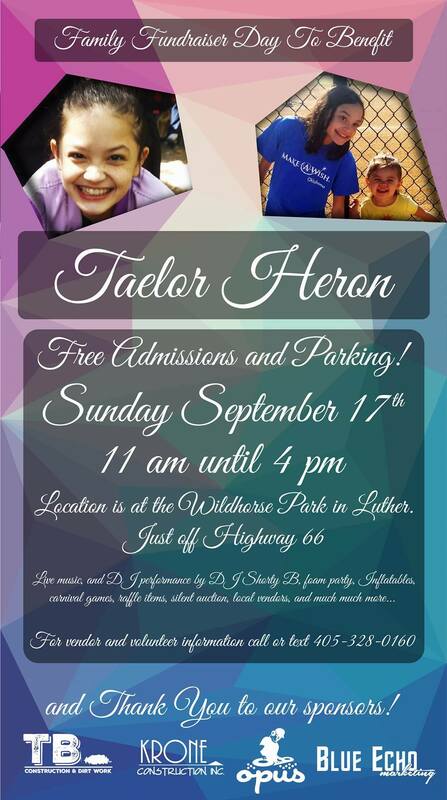 RSVP for the event on Facebook here, Family FUNdraiser Day To Benefit Taelor Heron. There you can read more, and catch the excitement for this event. From a Mama’s heart. Taelor’s mom, Tasha, explains some of the family’s situation, “We have great jobs and work so hard to make sure that our 4 daughters are taken care of, but expenses such as this, without assistance from insurance would make Taelor’s life SO much easier,” she said. “Your donation would be such a blessing and a glimpse of hope and strength for Taelor. She is such an incredible young lady and never lets her struggles take her beautiful smile from her face. She carries so much at such a young age but has the most amazing soul, kindest heart, and is the strongest person I have ever known,” said Tacha.